Do want to test payment gateway before actually putting in integration effort? Or find it difficult to remember multiple credentials of test mode and live mode? Or just want to explore the payment gateway’s checkout flow and features? At PayUmoney we understand the importance of ‘trying’ before actually using any service or product. 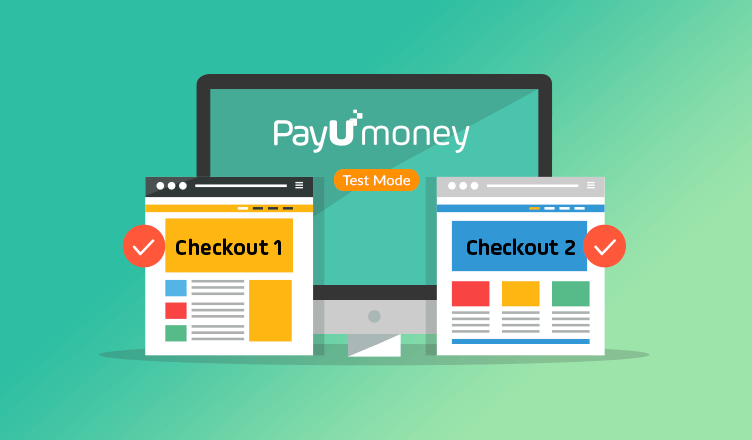 Thus, we are introducing PayUmoney’s Test Mode! Now experience the payment gateway checkout flow from your customer’s perspective. Try various features and walk through the entire dashboard. All of these before integrating or writing a single line of code! The main reason behind the introduction is to make sure that you or your customers don’t have to face any issues while making real transactions. All issues can be quickly resolved in the Test Mode itself. No more losing sleep over Live Mode issues! Once you login to your PayUmoney account, turn on the “Test Mode”. 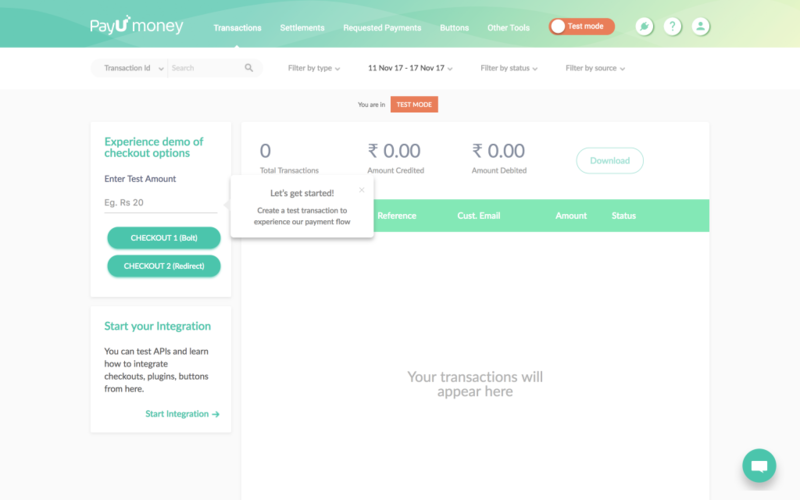 The dashboard is all yours and you are absolutely free to test all features available to you – Checkout options, PayUmoney payment button integration, Creating invoices and other exciting features. 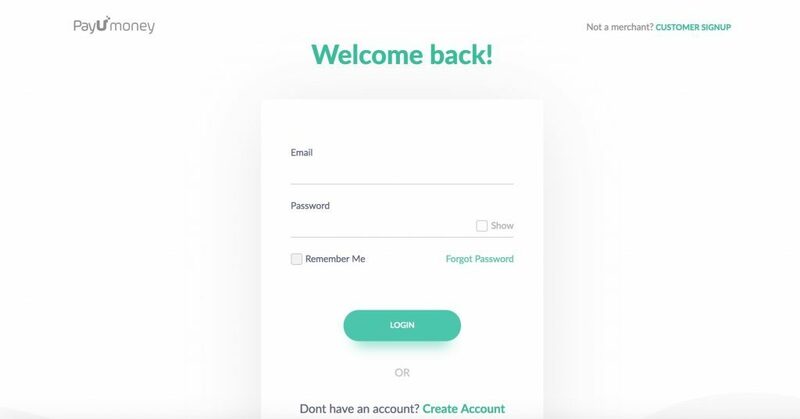 Checkout 1: PayUmoney Bolt, a super-fast redirection-less Checkout which allows you to accept payments within the context of your website. Checkout 2: PayUmoney Redirect Checkout, is a Checkout with optimized payment experience on a separate browser tab. It has separate payment tab for each mode and reduced hops with no PCI DSS Hassles. We have lifted all limitations from test transactions amount. There will be no settlement of test transactions as the test amount will neither be transferred to PayUmoney nor will it be deducted from your end. Make unlimited transactions carefree! Pro-Tip: Use the Test Card to make test transactions. We understand that it is difficult to remember multiple email ids and passwords. Now you can login into the Live and Test mode with the same credentials. Your salt, key, and Auth header will be available after sign up. These credentials are accessible under the ‘Integration’ settings of both the modes. Pro-Tip: You can toggle or switch between two modes with just one click. Sign up with PayUmoney and discover the new way of experiencing a payment gateway. If you require further support book your preferred slot with our technical team.